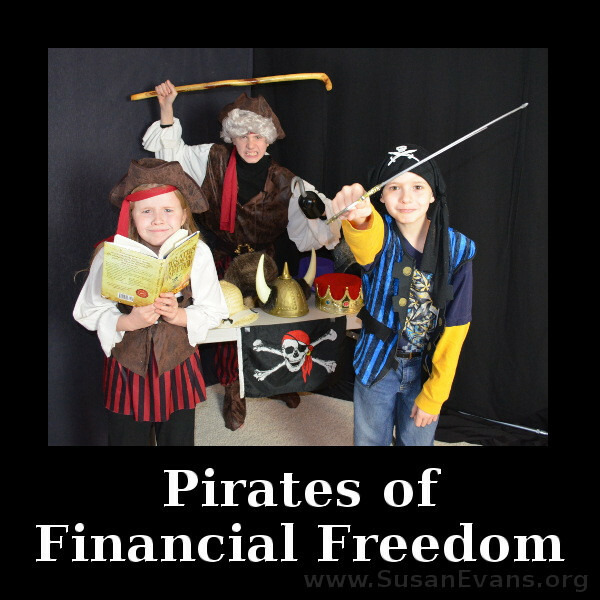 Financial Literacy for Kids: Pirates! I received a copy of this book for free and was compensated for an honest review. This book is probably best for teens, since my three sons understood all the concepts, but my daughter who is 9 had trouble with a couple of the more complicated concepts like compound interest. She still learned quite a lot, though, and we were all on the edge of our seats when the pirate ship encountered a dangerous sea serpent. The financial concepts are woven into the main plot line quite well, as you will see when you watch my kids goofily trying to re-enact a couple of scenes merged together from the book. For the fun and goofy video my children performed about this book, I chose two scenes that took place in stores. One was a hat shop where a pirate was buying a lot with a credit card without having the money in the bank to pay for it. The pirate assumed that he would be getting more treasure in pirate raids in the near future, but choosing to spend money before you have it is the way poor people act. Rich people spend below their means, and they have the money in the bank to pay for their purchases when the credit card bills come. The other scene was a 70-year-old pirate talking about saving for retirement. His brother began saving for retirement when he was 25, and at 40 he stopped saving. The old pirate himself did not start saving until he was 40, and he’s been saving for 30 years. So his brother only saved for 15 years, and he himself saved for 30 years–double the amount of time. They both saved 300 doubloons a month. At the end of that time, who do you think had the most money? Watch the goofy pirate video to find out the unexpected answer. And there you have it! 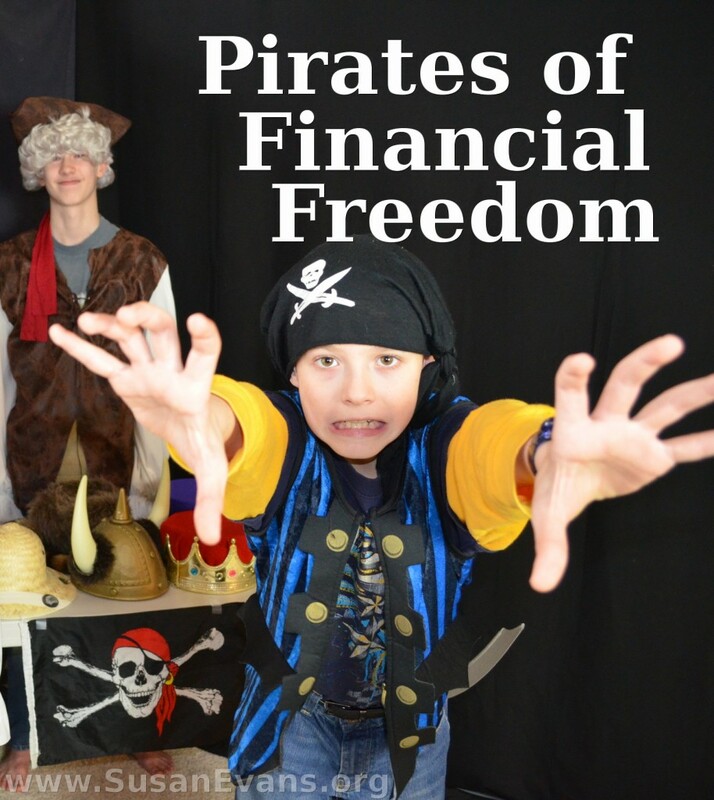 The Pirates of Financial Freedom will teach financial literacy for kids, showing them how to have better financial skills while listening to a fun story about pirates! Go on a treasure hunt to find more chapters of this fun book! 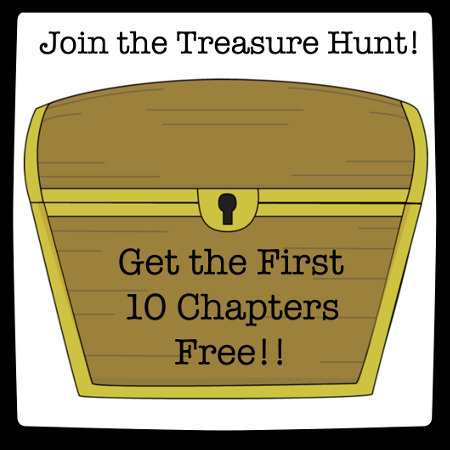 Enter to win one of three autographed hardcover copies of the book, plus 2 hours of financial consulting time with the author (for kids or parents!) Giveaway ends November 27, 10pm Central Time. This entry was posted on Thursday, November 20th, 2014 at 8:00 am	and is filed under Math. You can follow any responses to this entry through the RSS 2.0 feed. You can skip to the end and leave a response. Pinging is currently not allowed. Thanks, Melissa. My kids really enjoyed it and learned a lot. Thanks. That’s one thing that comes easy to me. 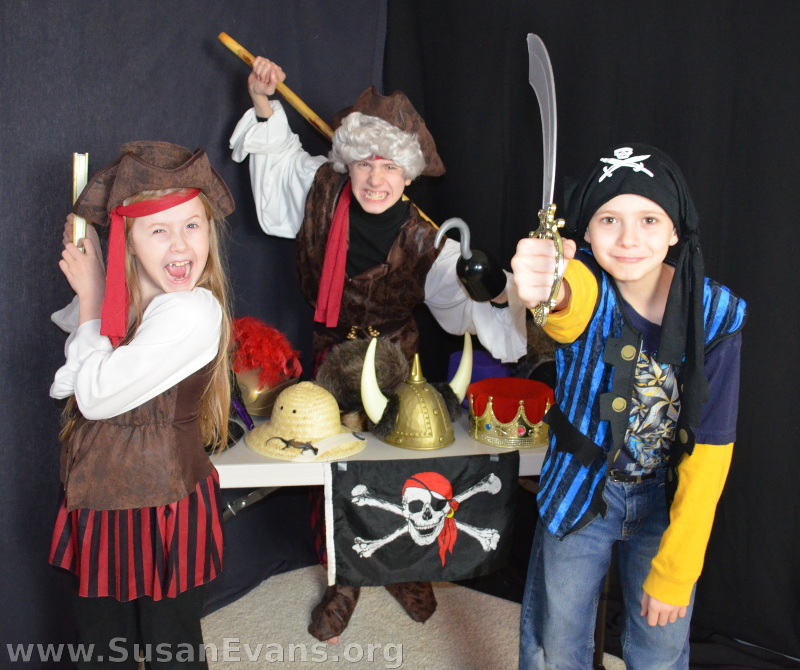 You are one awesome pirate Susan! Neat idea for a book. Thanks for sharing it, I had not heard of it before now. Haha! Yes, I like playing a pirate! Money management is crucial for our children to learn to prevent them from heartache in the future. Most young people have no sense of financial literacy at all. 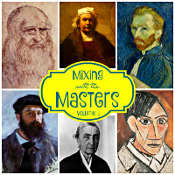 Oh, I cannot wait to get my hands on this. 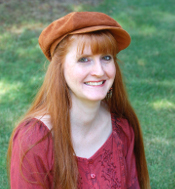 Thanks for sharing, Susan! It was a fun way to learn about finances.